Everywhere you look, it feels like the alps are just a few steps away. 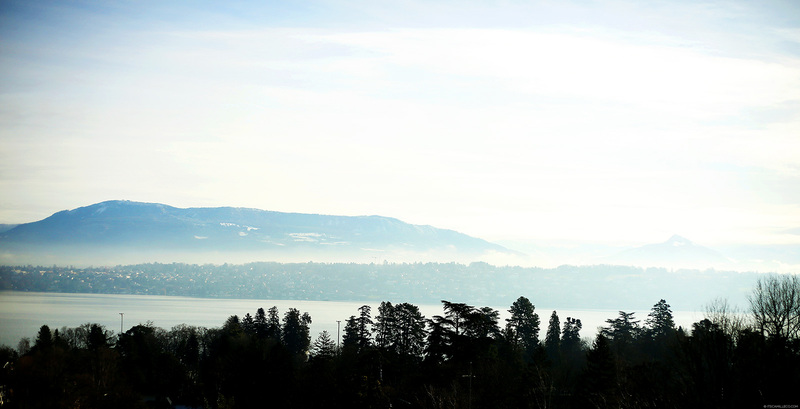 This is how beautiful Geneva is. 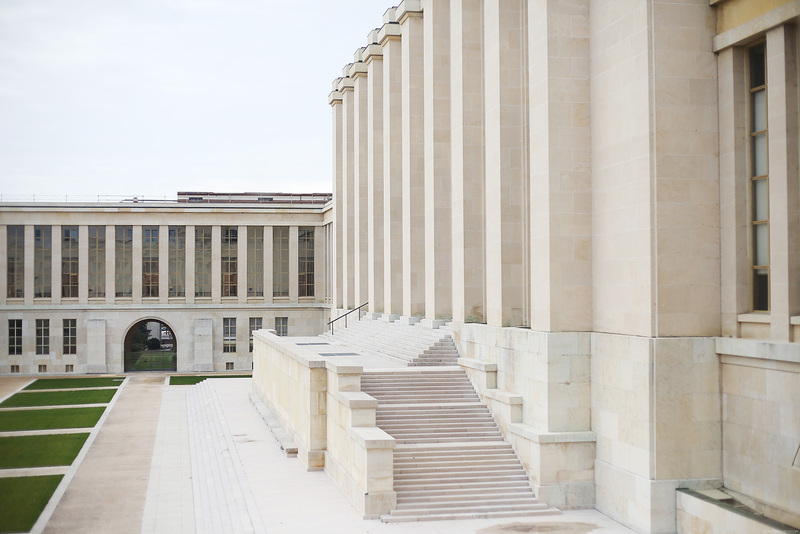 Today, I’ll show you more of the picturesque city with another travel diary featuring 3 of its top tourist spots–Place Neuve, Parc Des Bastions and Palais Des Nations. 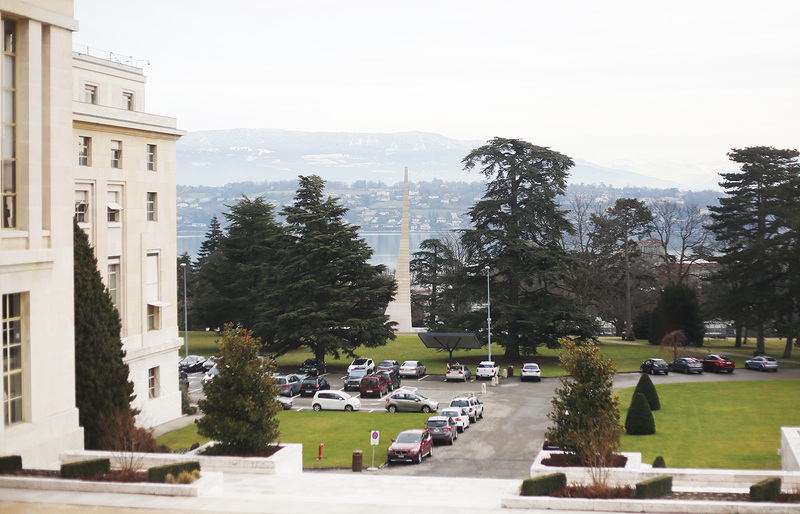 Place Neuve is said to be one of the most attractive squares in Geneva because everywhere you look, there’s a beautiful structure that’ll greet you, namely, the Grand Théâtre, Musée Rath and the Music Conservatory. 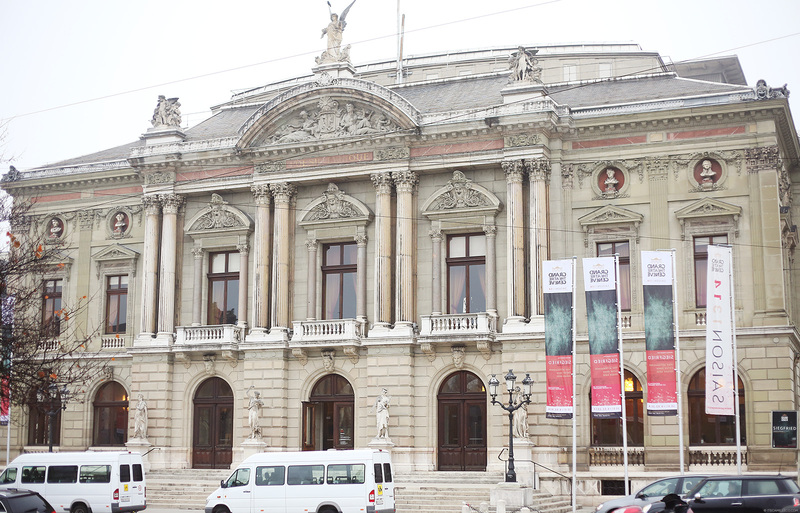 Geneva’s Grand Théâtre was built in 1879 and is considered one of the most stunning opera theatres in Europe. 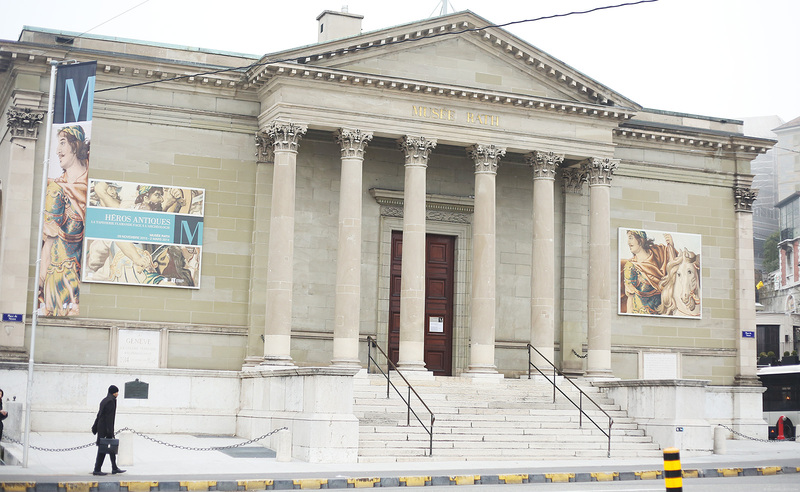 This is Musée Rath built in the Greek style. 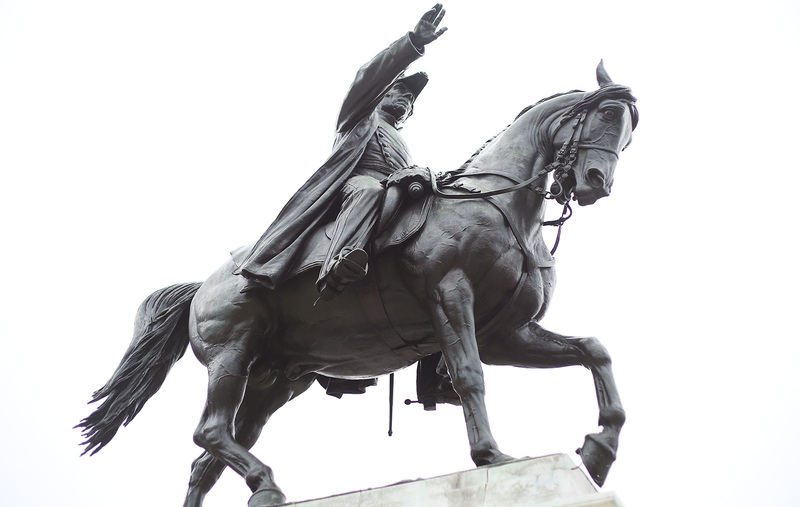 This is the statue of General Dufour who is the co-founder of Red Cross. He also initiated the first mapping of Switzerland. This statue is located right in the middle of Place Neuve. On another side of Place Neuve is the Parc Des Bastions. It’s inside a wrought-iron gate so at first, my sister and I thought it was a private property or maybe a school campus. It’s actually a large park where the Reformation Wall, Palais Eynard (which houses the executive authorities of the city) and the University and Library of Geneva are located. Upon entering the park, this huge chess area is the first thing you’ll see. Naturally, my sister and I goofed around it! My turn to make a move! Parc Des Bastions is also where Geneva’s first botanical garden is situated. No wonder the park was still full of greens amidst the cold weather. I can just imagine how this place must look like during spring! 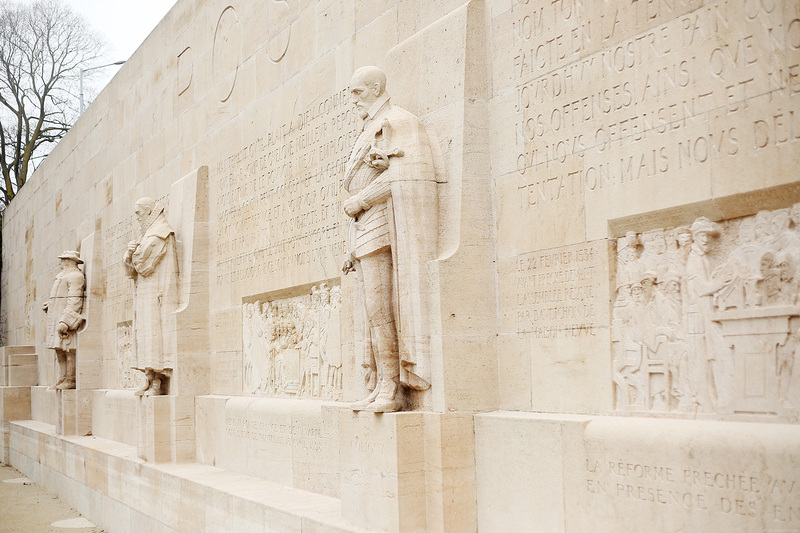 This is the huge Reformation Wall or Mur Des Réformateurs. 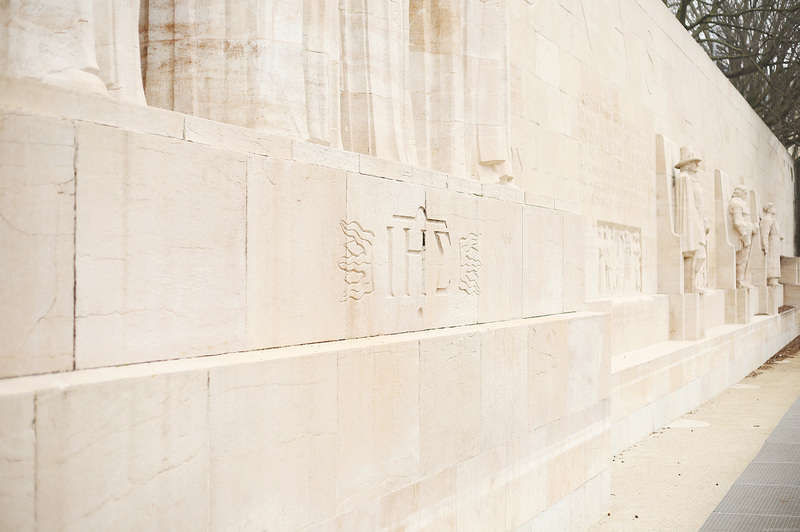 It’s a 100-meter long monument built in 1909 as a tribute to the fathers of the Reformation. Look at my tiny self beside these 5-meter high statues! My sister and I also got a chance to visit the European headquarters of the United Nations. 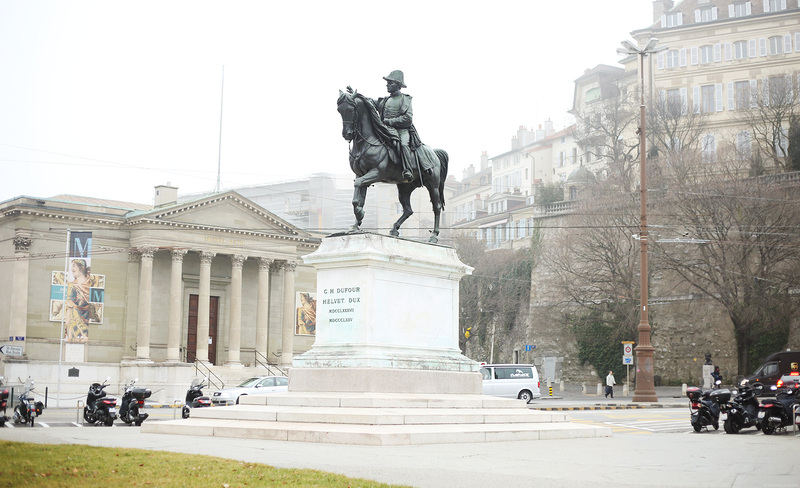 It’s located on the Right Bank of Geneva. They offer guided tours in several languages every day from 10AM to 12 noon and 2PM to 4PM. Spacious halls en route to one of the palace’s conference rooms. This is one of the many rooms where the UN delegates convene. When I first entered this room, I felt a few goosebumps. How can I not? History was made here! 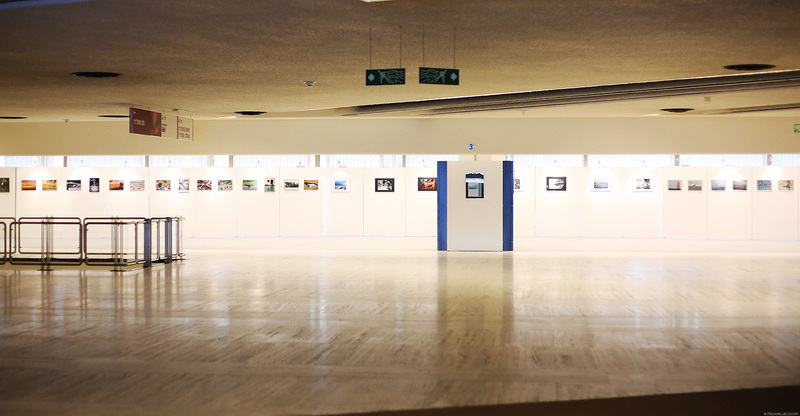 On the way to the central building, you’ll see works donated by different countries to the UN. This one caught my eye the most. It’s hauntingly beautiful. 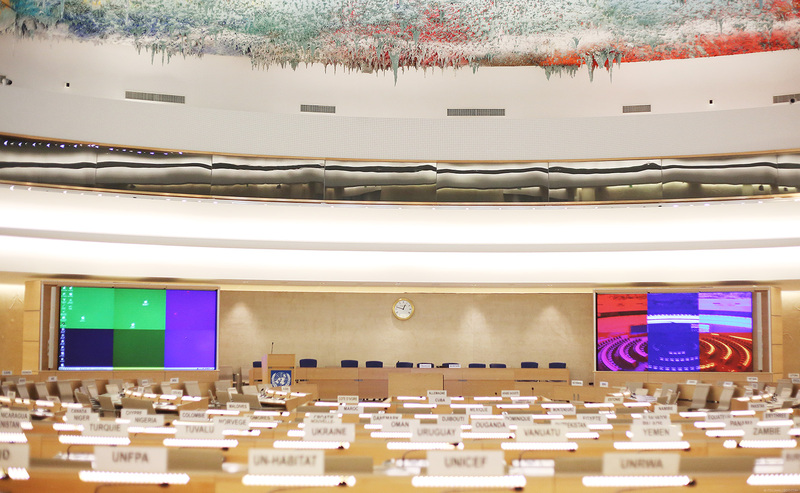 Another room where delegates convene–the Human Rights and Alliance of Civilizations Room. This room was donated by Spain and is one of the largest in the headquarters. Its ceiling is the work of Spanish artist Miquel Barceló. 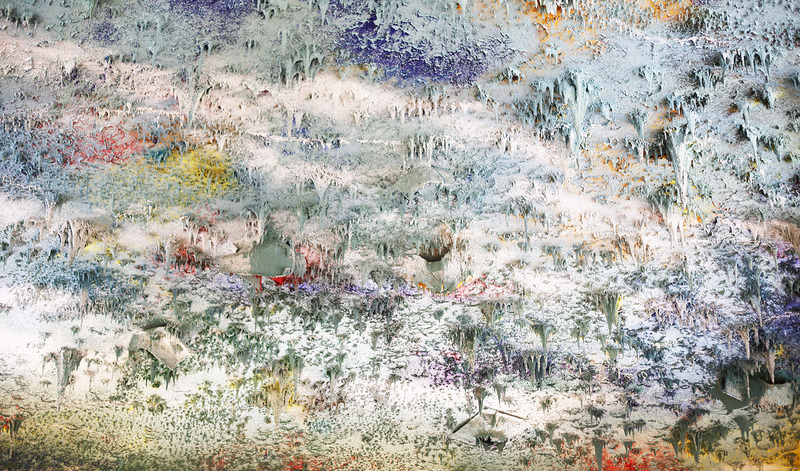 He made use of special plaster and paint to create multi-coloured stalactite forms that appear to be dripping from the ceiling. I wish I can take a photo of all 4600 square feet of the ceiling so that you can see just how dynamic and colorful it is. 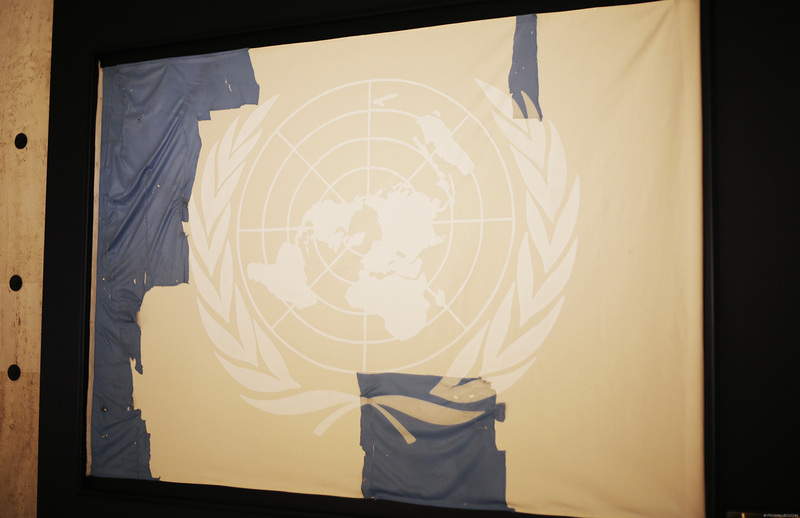 The blue bits are the only remnants of the UN flag in Algeria’s UN office after it was attacked by terrorists. 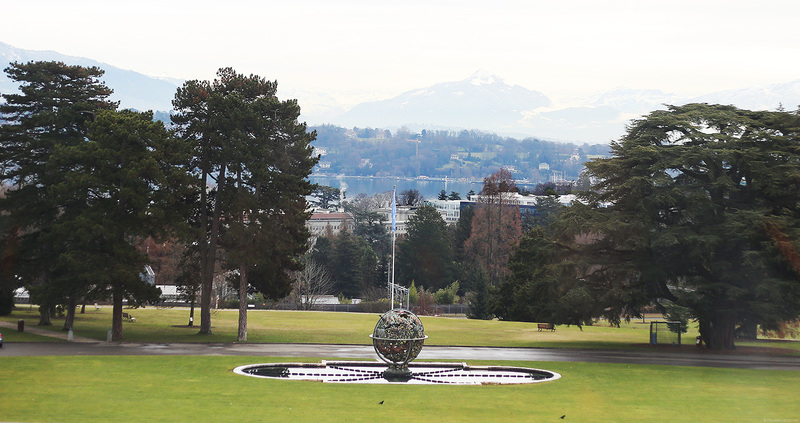 The UN office has a clear view of the alps. You can even see Mont Blanc from here. 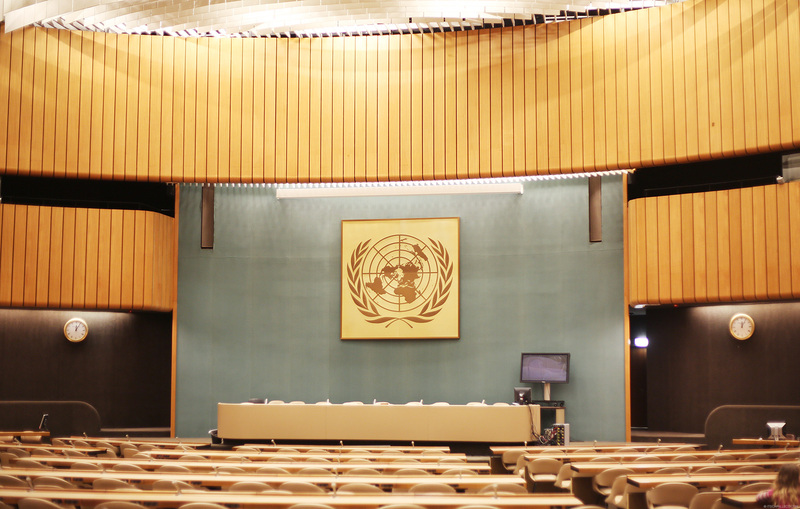 Before UN, there was the short-lived League of Nations. 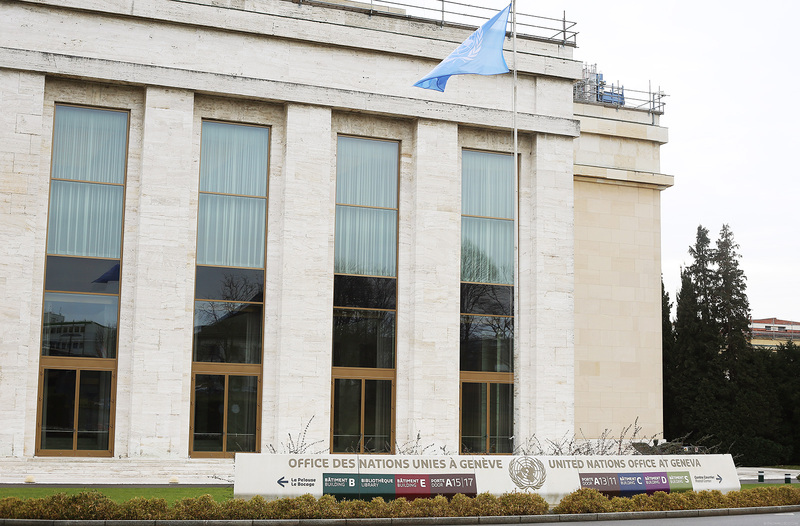 This was their old building which is now being used by the UN as well. 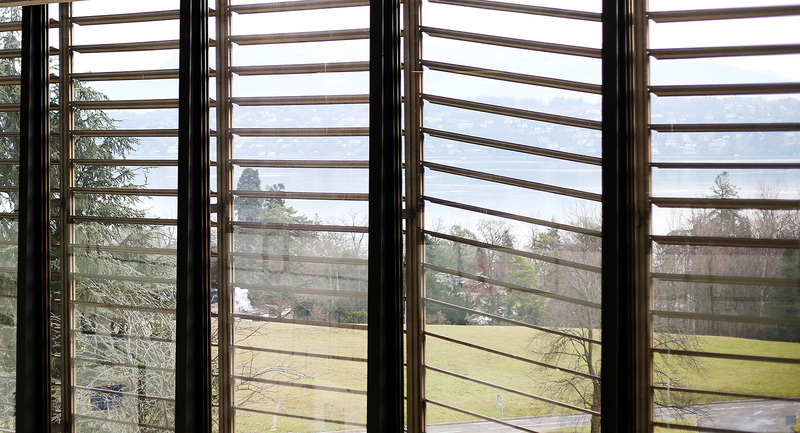 This concludes my second travel diary from Geneva. Tomorrow, an outfit post awaits! So if you want to know what I’m wearing here, check out my next blog post. what a beautiful city. thanks for posting this ate cams. :) BTW, random question lang po. do you play chess? We walk the same paths ;) Geneva is a beautiful city. You should go back to Switzerland in the spring. Blooming tulips and white peaks of the Alps! I know!!!! 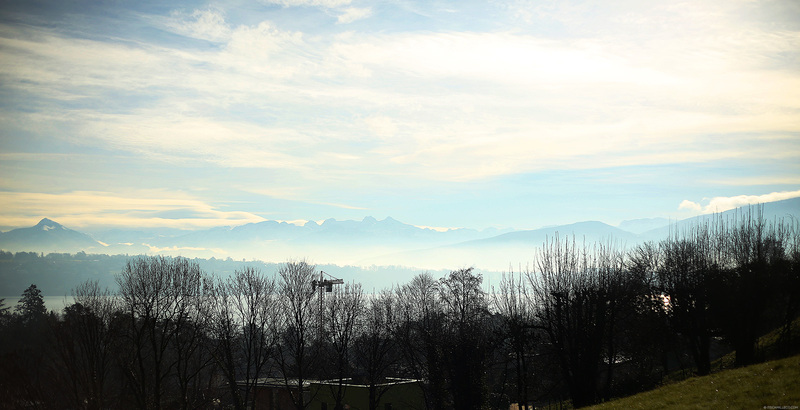 :( I really wish I’d be able to visit Switzerland in the spring. I can only imagine! Awesome, love the cheese board park and your outfit is stunning. I can totally already imagine being there. You mean Chess board? Looks like someone is hungry and thinking of cheese! Haha! Now you made me hungry too! the room donated by Spain is so awesome. I can imagine myself lying down on the flour and staring at it for hours hahah. The first photo looks like a painting. Wow. wow… I thought it’s cold in there but still you manage to wear mini’s… ^_^ love your outfit here,,,it’s just so classic and elegant, and has that vintage glamor touch in it that fit’s to the surrounding.. 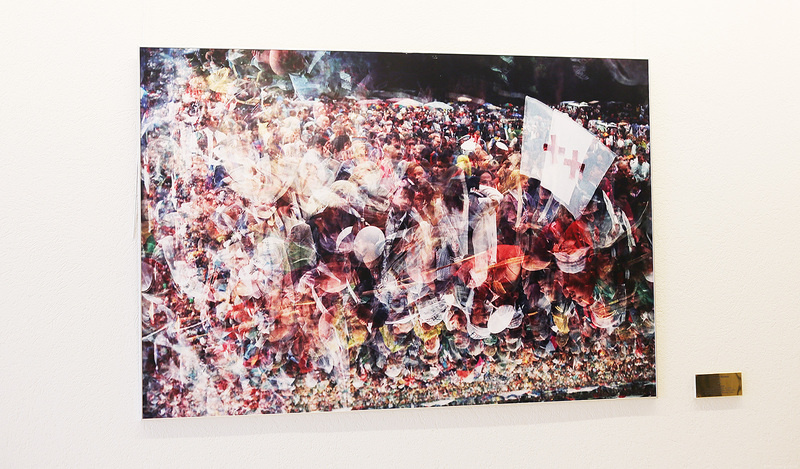 I felt so much culture and art seep through me when I saw these shots, Miss Camille! The architecture of the structures you showed is totally grand!. I can only imagine how it felt to see them up close. From my little corner of the world, I salute your adventures through these amazing places! I saw the velvety-soft, felt-like materials of your outfit and had a flashback to my childhood days when I would pretend to go on adventures like you have. The entire ensemble is a modern take on the classics of English fashion. I particularly got a kick out of your photos on the large chessboard and the playing pieces. :-D Haven’t played a game of good old chess in years! Sana nga but I won’t be there na! Sana forever naLOL :) Thanks Sephie! I love your outfit! Total crush for the thigh-high boots! I AM IN AWE. That place is sooo BEAUTIFUL and CLEAN! I don’t even see a tiny bit of litter! So sad kung paano pinapahalagahan ng ibang bansa ang heritage sites nila, pero dito saten, di name-maintain kasi nakukurakot na ng government officials yung funds. Widespread corruption is the main reason why I don’t practice my right to Suffrage. I don’t wanna sound pessimistic, pero we are hopeless talaga hanggang these people will govern us and handle our money. You’ll enjoy this trip for sure then! Haha! :) It is a nice place! Yes my sister took my photos :) And me too! I thought of Alice in wonderland!